Tarleton State University Official Seal. Image available on the Internet and included in accordance with Title 17 U.S.C. Section 107. William Herschel Bruce. Courtesy of Larry Johnson. Image available on the Internet and included in accordance with Title 17 U.S.C. Section 107. Entrance to Tarleton State University. Image available on the Internet and included in accordance with Title 17 U.S.C. Section 107. TARLETON STATE UNIVERSITY. The origins of Tarleton State University can be traced to 1895, when prominent businessman and philanthropist John Tarleton provided an endowment in his will to establish a college in Erath County. On March 12, 1896, an ex-officio board of trustees composed of the governor, state superintendent of public institution, and the Erath County judge. The board purchased the property of the former Stephenville College, which operated from 1893 to 1895 and closed due to financial difficulties. On March 12, 1896, the trustees appointed Marshall McIlhany to open the John Tarleton College in September and serve as president in 1897. The appointment expired in the spring of 1898 and the trustees disagreed on the subsequent leadership. Classes were suspended for the 1898-1899 academic year, but resumed for the 1899-1900 school year under President William H. Bruce. For a short time senior college work was offered, but the school later reverted to junior status with two years of high school work and two years of college work in liberal arts. Like similar schools of that period, John Tarleton College was faced with inadequate financing, and in 1916, when a movement in the legislature to establish a West Texas agricultural and mechanical college became apparent, citizens of the community and the trustees of the college offered the properties of the college to the state as a nucleus for the new school. The Thirty-fifth Legislature accepted and on February 20, 1917, passed a bill establishing a branch of Texas A&M College at Stephenville to be named John Tarleton Agricultural College. The school continued to offer a two-year degree, the preparatory program, and specialized study in agriculture, home economics, and military training. Citizens of Erath County raised $50,000 to purchase a 500-acre farm and additional acreage for the campus and $75,000 to become a permanent loan fund for worthy students. These assets were added to the existing property of the college and conveyed to the state. In 1926 the Southern Association of Colleges and Schools accredited John Tarleton College as a junior college. After that the school reverted to a focus on the liberal arts. In 1949 the name was changed to Tarleton State College, and in 1953 the preparatory department closed, since access to public education had improved in the region. During the first twenty-six years of its operation as a state institution the college widened its curricula to include fourteen courses of study and served 12,000 students. The college property in 1943 had an inventory value of $2,000,000 and consisted of a forty-acre campus, sixteen brick buildings, a 700-acre college farm, and a twenty-four-acre poultry project. One of the outstanding contributions of the college was the excellent course in military science and tactics, conducted by the college since 1921, when a unit of the Reserve Officers Training Corps was established. In 1943, 2,500 men trained at Tarleton were serving in the armed forces of the United States, and the college cooperated with the United States Army in the housing, maintenance, and instruction of 500 Army Specialized Training Program trainees. During this period affairs of the college were administered by the board of directors of Texas A&M. Active administration was delegated by the board to a local dean. James F. Cox, president of the old John Tarleton College, was dean for two years. Upon his resignation, J. Thomas Davis became dean. E. J. Howell was president of the school in 1949. Tarleton State College grew from an enrollment of 900 in 1950 to 3,027 in the fall of 1972. The curriculum expanded to include a four-year college program in 1959, with the first degrees conferred in May 1963. The school was accredited as a senior college in 1966. Degrees were offered in liberal arts, sciences, general business, education, and general agriculture. Seven buildings were added to the campus, and existing facilities received extensive remodeling. In 1970 a graduate program was added after gaining the approval of the Texas Higher Education Coordinating Board. In 1973 the legislature again reorganized the college and changed its name to Tarleton State University. W. O. Trogdon was president in 1974, when the enrollment was 3,026. 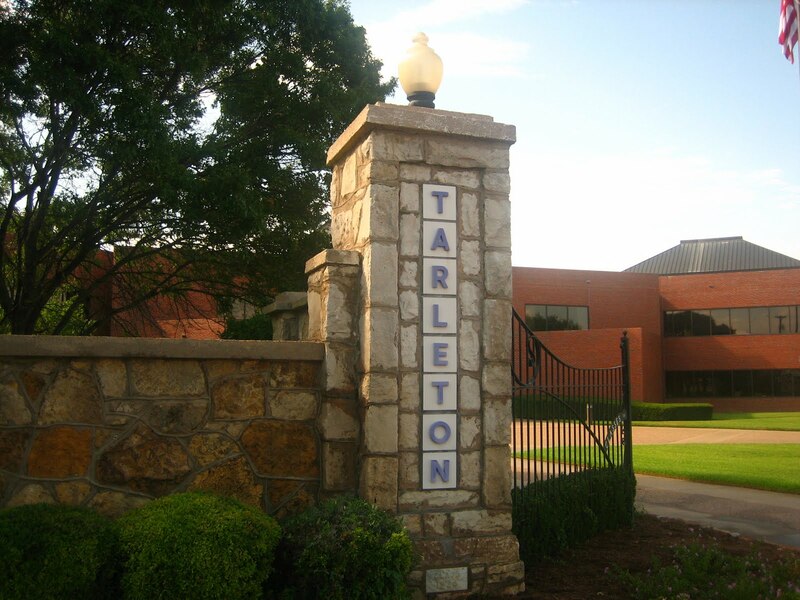 In 1992 Tarleton State University had a 165-acre campus, an enrollment of 6,425, and 200 full-time faculty members. The school also had a 1,200-acre ranch and a 600-acre farm complete with modern laboratories and facilities. It had a nationally recognized horse production and management program. In 1999 the university opened the Tarleton State University System Center–Central Texas in Killeen, utilizing the former facilities of the University of Central Texas. 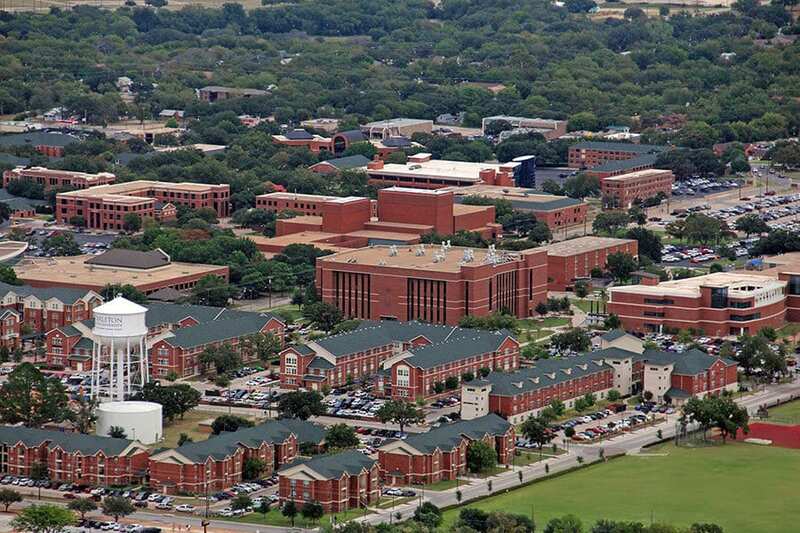 Tarleton–Central Texas, which offers junior, senior, and graduate courses, also shares facilities with Fort Hood, Temple College, the Texas A&M University Agriculture Research Center, and various local school districts. Enrollment at Tarleton–Central Texas in the fall of 1998 was 1,650, with a faculty of seventy. Enrollment at the university's main campus in Stephenville in the fall of 1999 was 7,533, with a faculty of 422. Dennis P. McCabe was president of the university in 2001, when the school dedicated a new $30 million science building. Tarleton State University. Image available on the Internet and included in accordance with Title 17 U.S.C. Section 107. Tarleton State University held accreditation and memberships with the Southern Association of Colleges and Schools, the Association of Collegiate Business Schools and Programs, the Texas Education Agency, the National Association of Schools of Music, the Council on Social Work Education, and the National Accrediting Agency for Clinical Laboratory Science. The institution primarily served Texas residents. Tarleton State University was divided into the College of Agriculture and Human Sciences, the College of Sciences and Technology, the College of Business Administration, the College of Liberal and Fine Arts, and the College of Graduate Studies. Degree programs were available in a wide variety of subjects, including education, agriculture, business administration, allied health, community service, fine arts, social sciences, physical and biological sciences, humanities, mathematics, and technology. Tarleton also provided preprofessional training in dentistry, engineering, law, medicine, and veterinary medicine. The university offered the following degrees: associate degree in nursing, bachelor of arts, bachelor of fine arts, bachelor of business administration, bachelor of music, bachelor of science, bachelor of social work, master of education, master of arts in teaching, master of business administration, master of science in teaching, master of arts, and master of science. Dublin Progress, March 20, 1896. Christopher Guthrie, John Tarleton and His Legacy: The History of Tarleton State University, 1899-1999 (Acton, MA: Tapestry Press, 1999). Richard C. King, The John Tarleton College Story: Golden Days of Purple and White (Austin: Eakin Press, 1998). Eric M. Larson, Marshall McIlhany: First President of the John Tarleton College, 1896-1898 (Takoma Park, Maryland: n. p., 2017). Stephenville Empire, February 24, 1898. Vertical Files, Tarleton State University Libraries. Handbook of Texas Online, J. Thomas Davis and Nancy Beck Young, "TARLETON STATE UNIVERSITY," accessed April 22, 2019, http://www.tshaonline.org/handbook/online/articles/kct02.